Yesterday, my debut novel In Bitter Chill was published in the UK. It’s been a special time and I’ve only just drawn breath to write this post. 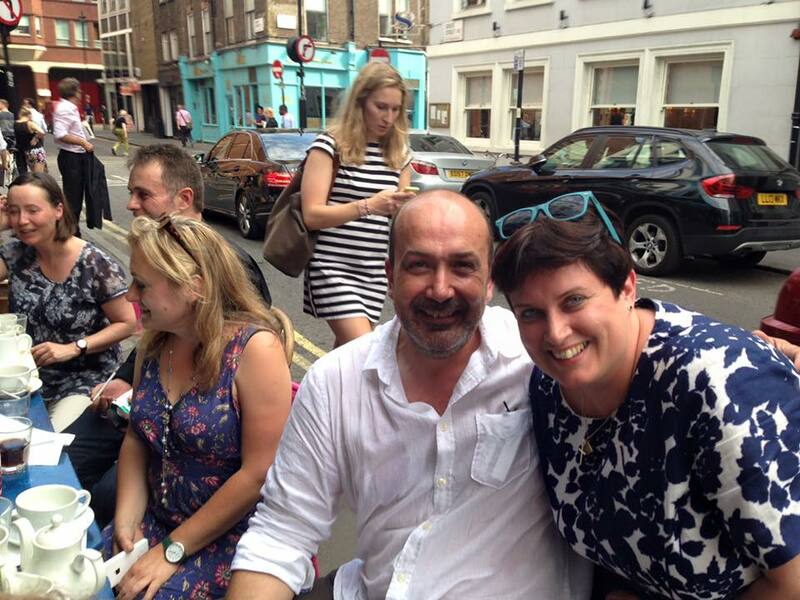 On Wednesday I was in London signing copies of my novel for the excellent Goldsboro Books. In the evening we celebrated publication at a launch party at the Faber and Faber offices in Bloomsbury. People from across the crime fiction community came to celebrate the book’s launch. 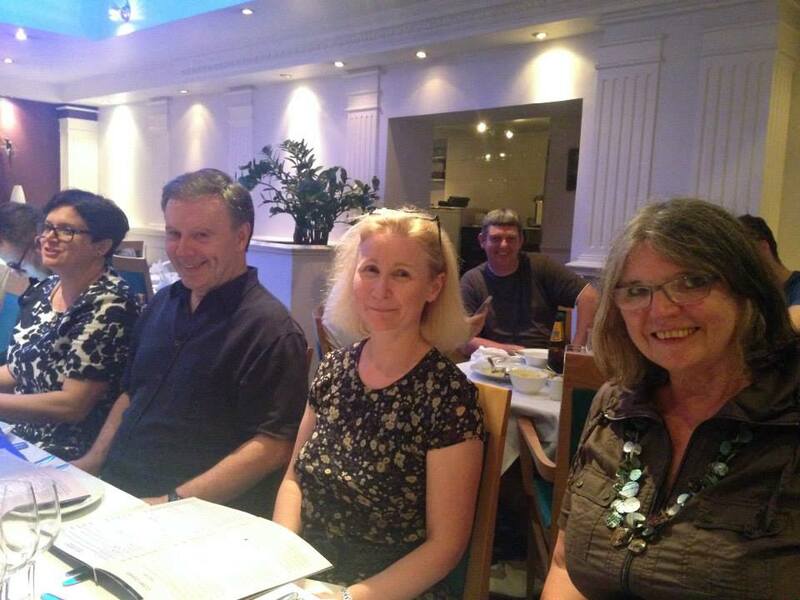 I had guests from Switzerland and Greece as well as across the UK. A regular haunt for us crime fiction aficionados is Maison Bertaux in Soho. The day kicked off there with cakes and tea before moving on to the launch. There, we had more cake made by Karen Sullivan, publisher at Orenda Books. For those of us who wanted something to eat on the hottest night of the year we then moved on for a curry. Many thanks to everyone who attended: bloggers, readers, writers, translators, journalists and all crime fiction lovers. Special thanks to Katherine Armstrong, my editor at Faber and Kirsty Mclachlan, my agent, at DGA for helping bring In Bitter Chill into being. I started Crimepieces before I became an author and I intend to keep posting my reviews here. There’s some great crime fiction out there to discuss. For those interested in the progress of my book, I have an events page and am posting quotes from reviews. All are accessible from the tabs at the top of the website. I also have a Facebook page and Twitter account that can be accessed from the links on the right. In the meantime, I want to thank all the regular readers of Crimepieces for their support. Thank you so much for coming. Exciting times for both of us. Congratulations again, Sarah. 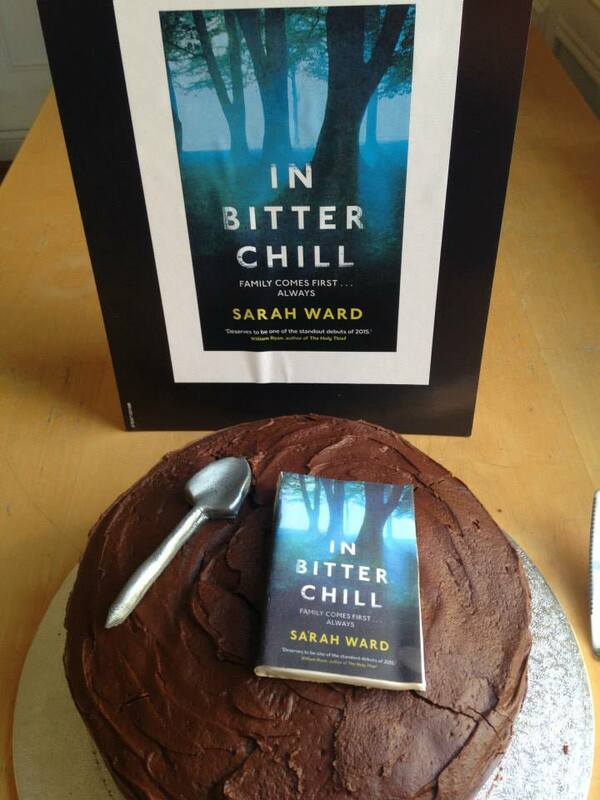 And if anyone has any doubts about trying In Bitter Chill, pop over to my blog where there’s a review and where it’s my book of the month. Great to hear that the launch has gone so well, Sarah, and I’m of course jealous about the curry! Thank you, Paul. Curry in England next. My shout. Congratulations, Sarah, and well done! That sounds like a wonderful day, Sarah. Very exciting for you, I am sure. I am looking forward to getting a copy. Many congratulations, Sarah! I’m looking forward to reading it as well. So happy for you – it couldn’t happen to a nicer, friendlier blogger! You were a great help to me when I started. I’m assuming you knew what a ridiculous distance London is from me and knew I’d be unable to come….I know otherwise you’d have been in touch! Massive congratulations – can’t wait to read it! Bestsellerdom beckons…. Glad to hear that you’ll still be reviewing. Congratulations to you! I wish you best. Congratulations! I am looking forward very much to reading it. 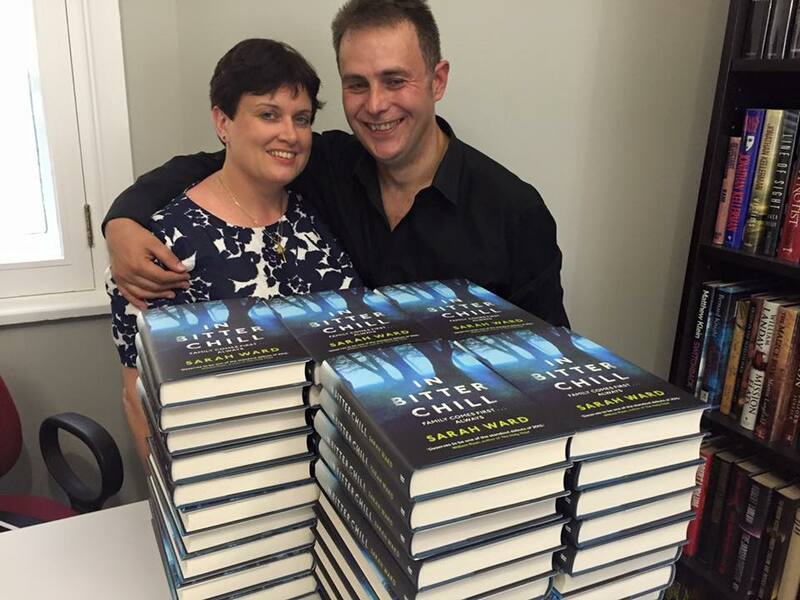 Congratulations, Sarah, for your book launch and accolades, which are well-deserved. 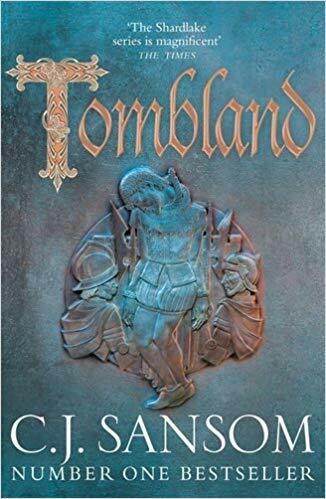 The book is a great read, unputdownable. So glad to have been able to be there, and what a great evening it was! Yet again: congratulations…. Congratulations! It seems like it was such a fun day! Thanks for all your lovely comments. They’re really appreciated. I loaned this book to a friend and she told me today that she “loves it!” She will tell you herself. She’s still reading it. Thank you, Kathy. That’s great to hear. Thank you, Susan. I’m so pleased that you enjoyed it. I’ve just finished my second book that will be published next year. A friend tried to blog here couldn’t, and I’m not sure why.